This Barbie® bicycle is ready to ride into imagination! 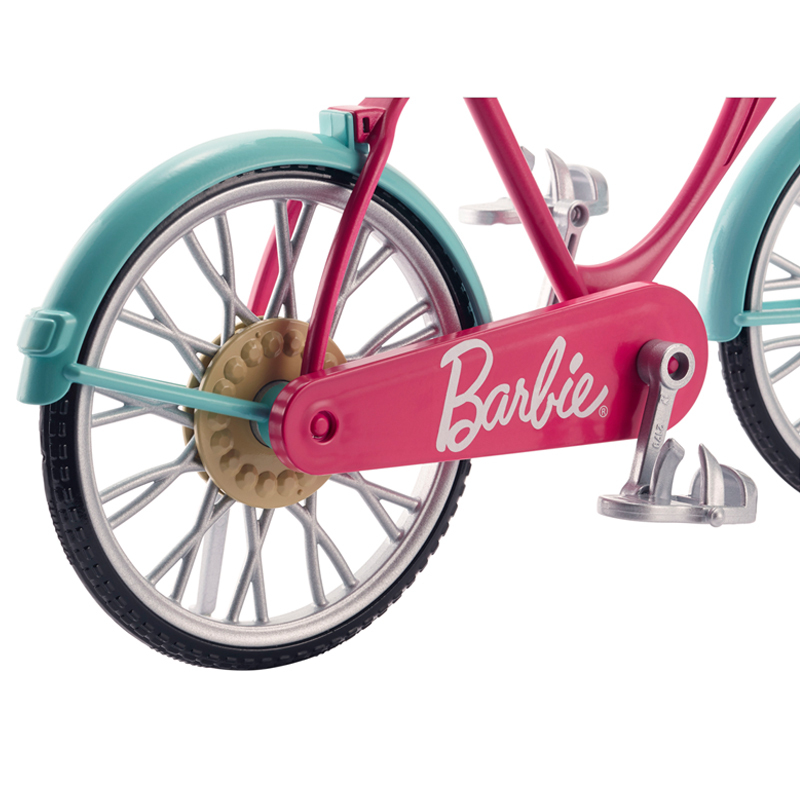 A pink body, teal fenders and silvery accents are oh-so-pretty. Real working pedals and wheels make bike riding a breeze. 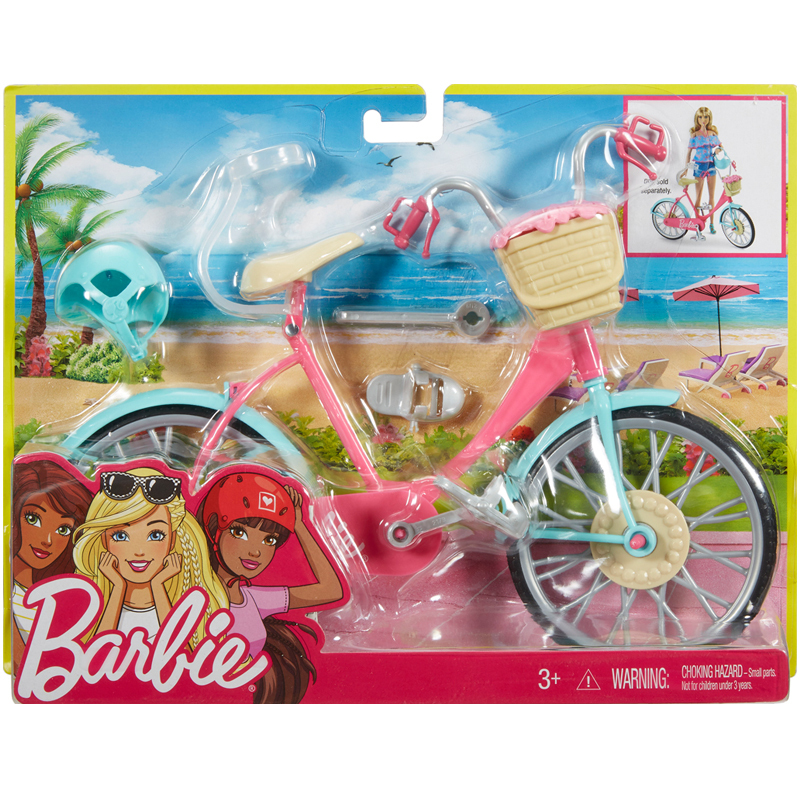 Place Barbie® doll (sold separately) on the bike seat where a clip holds her in place. 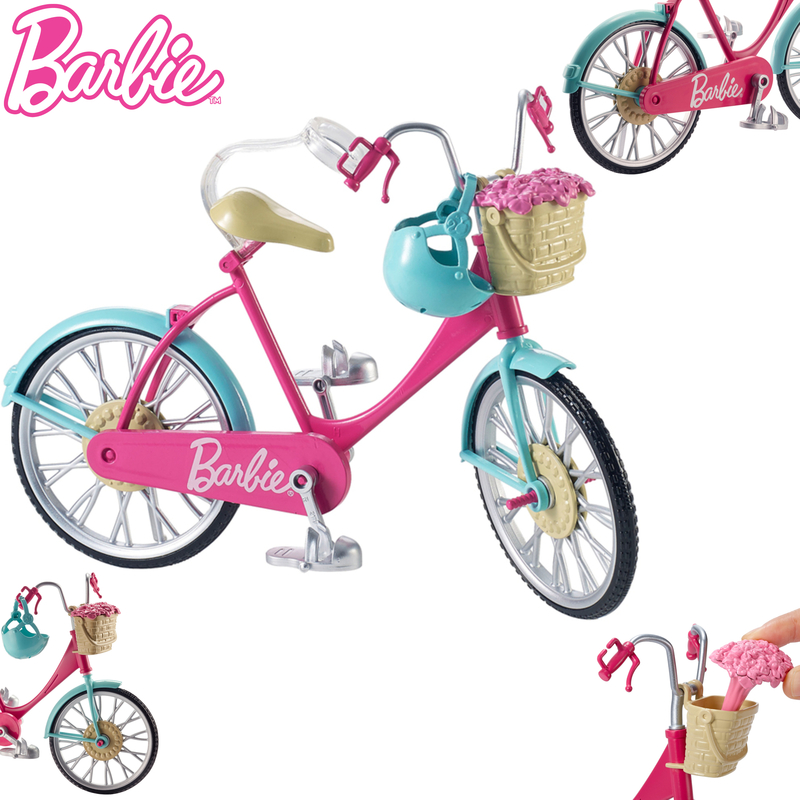 Slide her feet into the pedals and her hands onto the handlebars, then push to see the doll ride! 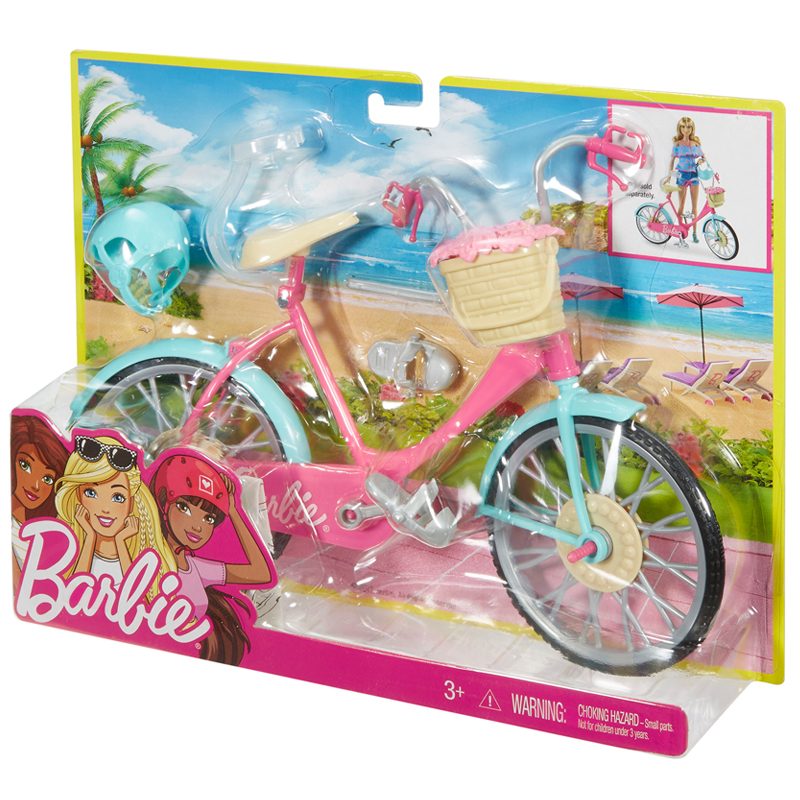 A blue helmet keeps Barbie® doll safe. And a basket of pink flowers at the front dresses up her bicycle, too! They can be taken in and out to add to play. Go for a short ride or pedal off into adventure -- this bike is ready to roll! Includes Barbie® bicycle with basket and flowers and helmet; doll not included. Colors and decorations may vary. Real working pedals and wheels make riding it a breeze. 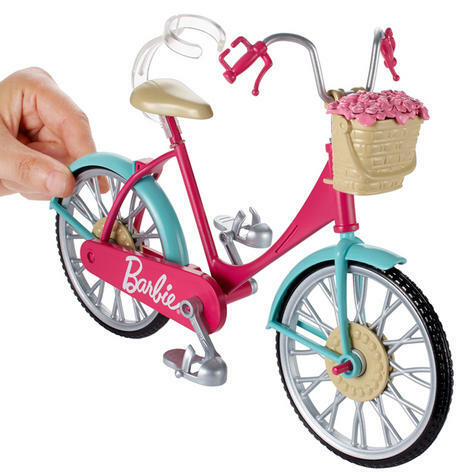 Place Barbie® doll (sold separately) on the seatwhere a clip holds her in place. 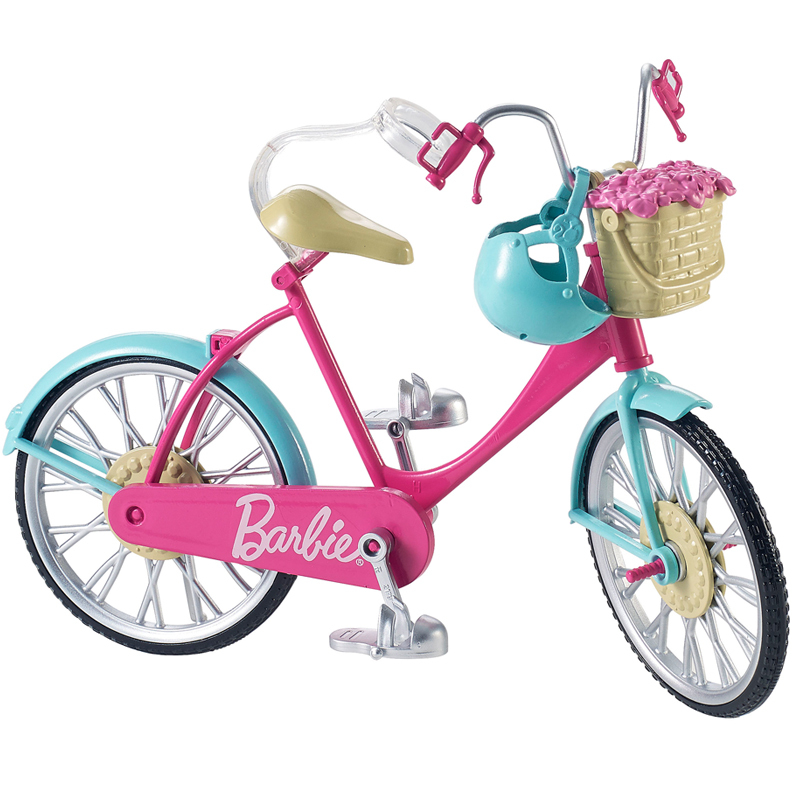 Slide her feet into the pedals and herhands onto the handlebars and push to see the doll ride! 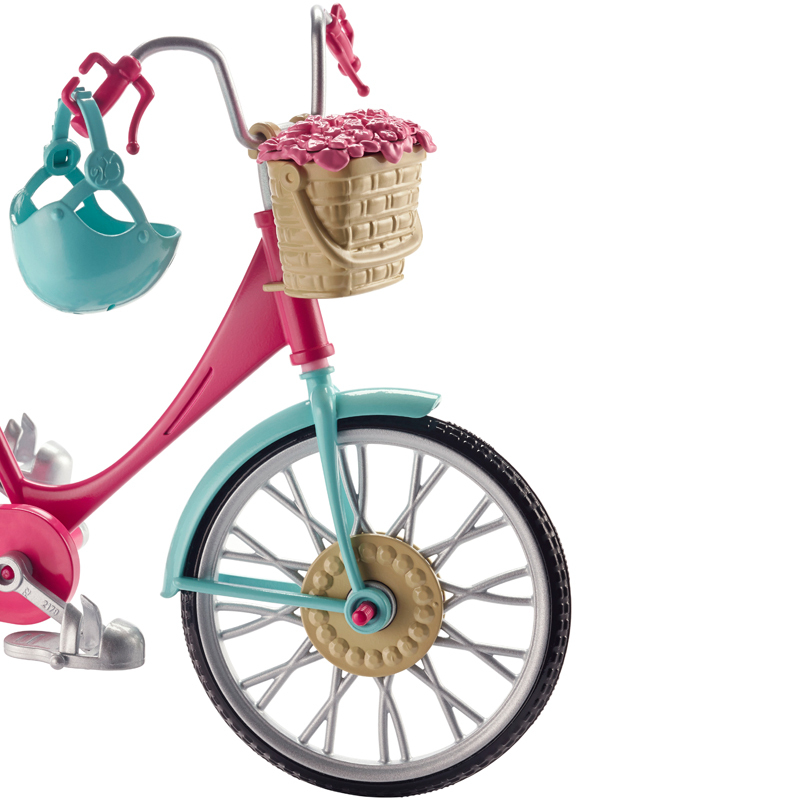 A pink body, teal fenders and silvery accents areoh-so-pretty. 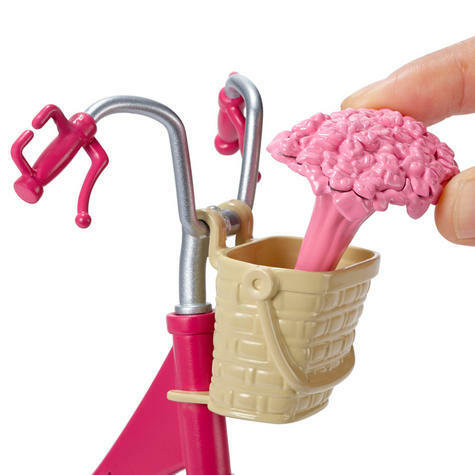 A blue helmet keeps Barbie® doll safe. A basket with removable pink flowers at the front dressesup her bicycle, too!